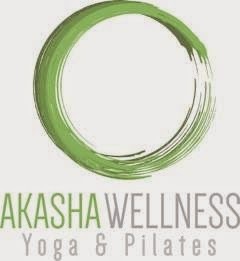 Akasha Wellness Yoga & Pilates Centre. There’s a new yogi hang out for us Hertfordshire mummies, Akasha Wellness Yoga & Pilates Centre, at the Barley Barn, Wickham Hall. As you know I am a huge fan of Yoga, it’s a workout and therapy combined. Last week I went along to check out their classes. They are currently offering an introductory £5 offer for your first class. Check out the class schedule here. The space is a beautiful, modern, barn conversion. Perfect for an hour of Zen after the school run! I went to a 9.30am Akasha Power class. The class was suitable for beginners/intermediate level, it wasn’t an intense calorie burner but I left the class feeling awake, revived and calm. They don’t have an advanced class on their timetable yet, however they do offer one to one sessions. They also offer ‘reformer pilates’. This is a pilates system that focuses on core strength and is performed on these fancy pilates beds. I am desperate to try this class, it looks brilliant! They have a treatment room and are offering a variety of therapies too, from Reiki to Acupuncture. Overall I’d say . . . Location is great, plus free parking. Excellent & very experienced instructors. I give Akasha 4 out of 5. Previous Post5 Reasons To Go Dairy-Free.